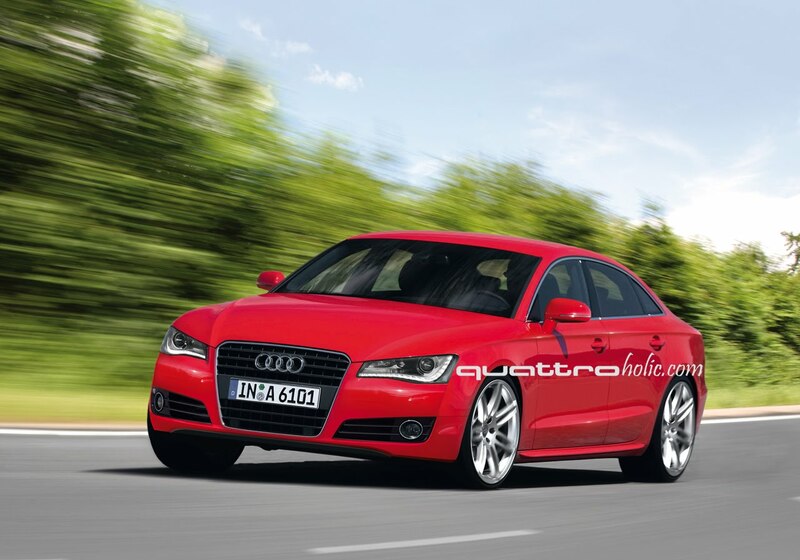 Though nearly a year away from production, new details of the next generation Audi A6 are leaking to the web. Most notably is of the car's construction - look for the new C7 A6 to be based upon a "modular-longitudinal" platform using Audi's ASF II aluminum and steel constructed spaceframe. 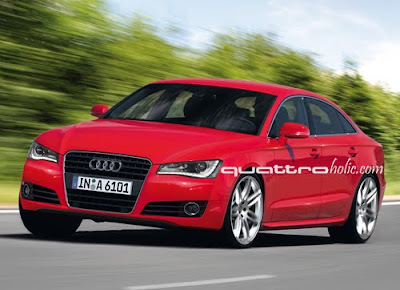 In addition to a few more speculative details, we've included two renderings of what to expect from the 2012 Audi A6, all after the jump. On the outside, our renderings show an A7-inspired design which coincides with the modular-longitudinal platform's front axle being pushed farther to the front. You'll see a fairly dramatic facelift to both the front and rear ends - in addition to a lower roof line and pronounced "shoulder" line from nose to tail. Keep in mind, these are just renderings, only time will tell how much of what you see here makes it to the production model. Car and Driver's resident Audi guru, Jens Meiners notes a few possibilities of what may be found under the hood in his recent report. Most notable to us is the chance of an entry level, 200+ hp, 2.0-liter 4-cylinder in addition to two variations of the current supercharged V6. As for the S6 and RS6, C&D's report notes that the S6 may use the same 400-horsepower V8 found in the upcoming S7 and S8 and to a similarly powerful, twin-turbo V8 replacing the current RS6's 580-hp V10 (coinciding with the current push towards smaller, more powerful, fuel-efficient engines). 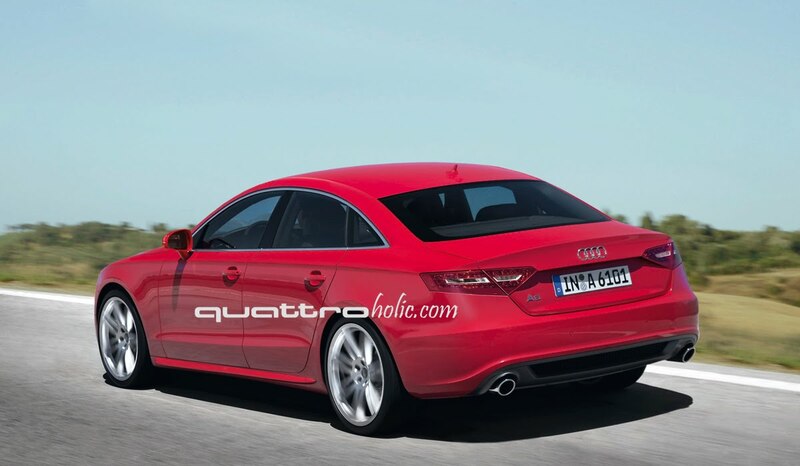 There's no official word on where and when the new A6 will make it's world debut. We imagine early 2011 at either the Detroit or Geneva Motor Shows would be appropriate.